Part 1 - Cross-national perspectives: The Norwegian case - child centred policy in action, Unni Hagen and Felisa Tibbitts; Discovering shared values - ecological models to support interagency collaboration, Hanne B Mawhinney. Part 2 - State and local perspectives: The politics of policy making for children, Julia E Koppich; The professional and institutional perspectives on interagency collaboration, Douglas E Mitchell and Linda Scott; Resource issues - a case study from New Orleans, James Garvin and Alma Young; Implementing collaborative services - new challenges for practitioners and experts in reform, Stephanie Kadel and Dorothy Routh. Part 3 - The role of the universities: University-based preparation for collaborative interprofessional practice, Michael Knapp, Kathryn Bernard, Richard N Brandon, Nathalie J Gethrke, Albert Smith and Edward C Teather. 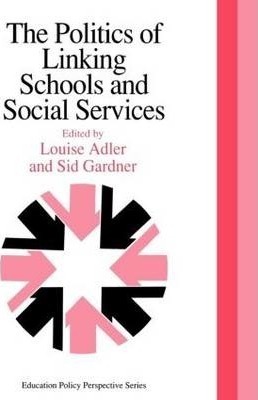 Part 4 - Lessons from the field: California's state partnership for school-linked services, William A White; On the cutting edge - family/youth service centres in Kentucky, Charles Russo and Jane Clarke Lindle.